This Wichita boutique hotel is conveniently located in the heart of Old Town and just seven miles from Wichita's Mid-Continent Airport. Hotel at Old Town is an urban oasis with a four-story atrium and piano bar basking in Old World charm. Hotel at Old Town is housed in the century-old Keen Kutter Warehouse building. It was gutted and rebuilt within in 1999 so you can enjoy its Old World charm and all of the modern conveniences of today. The Hotel at Old Town Conference Center offers 10, 000 square feet of meeting space and full catering services. The Old Town location provides over 50 restaurants, shops and museums, all within walking distance. Each studio and one-bedroom suite includes a 37" TV, iron and ironing board, blow dryer and more. Complimentary wired and wireless high speed Internet, free local phone calls, low priced long distance, personalized voice mail, and an over-sized desk. 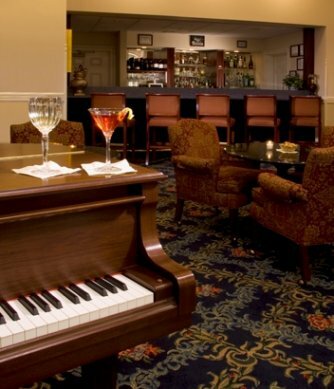 Live Jazz every Friday and Saturday evening from 5 til 8 pm in our four-story atrium and Keen Kutter Piano Bar. Oh, and Free Parking for our Guests, too. Looking for a place to tie the knot? Come see our elegant wedding venue where we can accommodate an intimate family gathering, or help you host up to 400 people in our 10,000 square foot special events space. 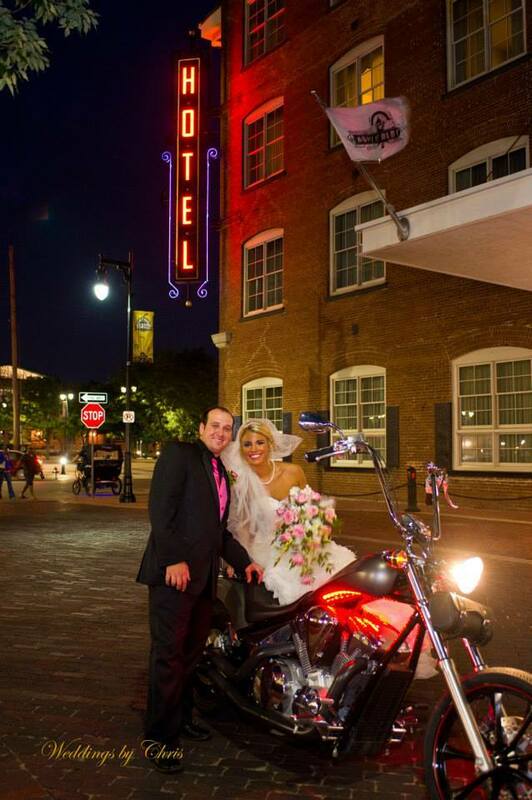 We'll create a wedding package just for you and your guests - including accomodations in our guestrooms and one-bedroom suites just a short ride up the elevator! From flowers and decor, to lighting and first-class menus and culinary services - we know how to make you and your guests feel special. Visit our website for FLOOR PLANS and CAPACITY CHARTS. Take a VIRTUAL TOUR of our wedding space then call us to start planning!